Harvey Guttmann went to medical school at Cornell University where he selected to join the Alpha Omega Alpha honor society. He did his internship and residency at The New York Hospital-Cornell Medical Center and his fellowship at Yale-New Haven Hospital. 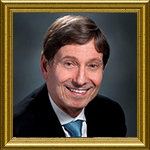 Dr. Guttmann is board certified in internal medicine as well as gastroenterology. He is the Chief of Gastroenterology at Abington Memorial Hospital, the President of the Abington Memorial Hospital Medical staff, and the past president of Gastrointestinal Associates, Inc. He is also past President of the Delaware Valley Society for Gastrointestinal Endoscopy. He has been named a “top doc” by Philadelphia Magazine on many occasions, most recently in 2017. Dr. Guttmann speaks Hungarian and Hebrew.